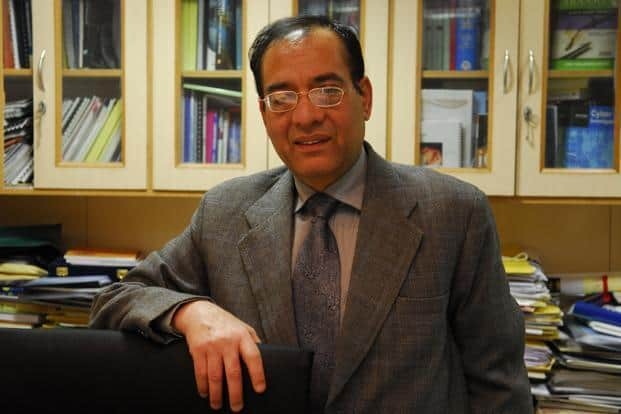 Dr. Gulshan Rai, National Cyber Security Coordinator in the Prime Minister’s Office, Government of India will be amongst the key speakers at the upcoming Telecom Leadership Forum 2019 being organized by Voice&Data magazine on 13th March 2019, in New Delhi. Since 1998, Rai has been working in the area of evolving legal framework to address issues arising out of cyberspace and several related fields. At present, he is Chief Information Security Officer, Prime Minister’s Office. He also served as the Director General, CERT-In (Indian Computer Emergency Response Team) and Group Coordinator of E-Security and Cyber Law Division in the Ministry of Communications and Information Technology earlier. The conference theme this year is “Digital Disruption and Consolidation”, and the various sessions in the form of keynote speeches, panel discussions and case study presentations will address issues facing the telecom sector such as what does the Indian telecom ecosystem (operators, equipment and solution vendors, apps players, policy makers and regulator) need to focus on in the next 12 months in the wake of the data wave, the consolidation, and the user’s changing profile and requirements. And how will today’s’ consumer look like 5 years from now; and how emerging technologies like digital, AI & VR are going to be leveraged to cater to the evolving customer needs. The conference will also focus on how the telecom sector and eco-system needs to align itself for meetings demands of a diverse, growing, quality and cost conscious, data driven, and highly competitive market. The other questions that industry captains and experts will delve upon include what will be the requirements and challenges in building and rolling out networks that will cater to the new generation digital citizens as operators move from 3G to 4G/LTE to now 5G and IoT – at work and at play. And what technologies and innovations will ensure that these networks are robust, agile, and flexible; and networks that allow users more power to customize. TLF 2019 will also see discussions and brainstorming sessions on how will operators ensure that their networks are safe & secure for the digital Indian, as a big chunk of her daily work and life activities will have a digital touchpoint. With so many types of networks co-existing, with connected gadgets, homes, and automobiles, and apps & OTT on top of this all, what is the way forward for data security and privacy to be paramount. Speakers will also discuss why a high-quality high capacity fiber optic national level network will be critical for the digital infrastructure of the country – for operators, governments, enterprises and consumers to be able to offer and experience services (govt, health, entertainment, retail, education etc) at the work place as well as home. And how telco networks will radically evolve in the face of open systems, 5G transition, changing digital native profiles and demands, and increasing partner collaboration. A special session on smartphones will see ideas and action plans on how handset technologies, manufacturers & operators need to work together to make smartphones that can leverage the new network in terms of apps, services, and information to truly help bridge the digital divide. Top policy makers, business leaders and technology honchos from the Indian telecom sector will be attending the 18th edition of Telecom Leadership Forum/Among some of the notable speakers include Aruna Sundararajan, Secretary, Dept of Telecom; Harmeen Mehta, Airtel Group CIO; Rajan Mathews, Director General of COAI; Akhil Gupta, Vice Chairman, Bharti Airtel; Sunil Kumar, ED (Enterprise Business), MTNL; Hitesh Oberoi, CEO & MD, Naukri.com, V Umashankar, CEO, Gurugram Metropolitan Dev Authority; Puneet Chawla, CMD, Railtel; Jagbir Singh, former CTO, RJio; Ashwani Khillan, CEO, American Tower Corp; Kapil Ahuja, CEO (North), Rjio; Vipin Tyagi, ED, CDoT; Arun Karna, MD, AT&T India; TV Ramachandran, President, Broadband India Forum; Krish Sridhar, COO, Tikona Telecom; Abhay Savargaonkar, former CTO, Airtel; TR Dua, DG, TAIPA; General Dr SP Kochhar, CEO, TSSC; Dr Rajat Kathuria, CEO, ICRIER; Ashutosh Vasant, Director (POM), Railtel; and Anil Jain, Head – Wings, BSNL; Nitin Shah, Head – Telecom Security, KPMG; Rajen Vagadia, MD, Qualcomm; Sanjay Kaul, President, SP Business, Cisco (APAC & Japan); Dr Anand Agarwal, Group CEO, Sterlite Technologies; KS Rao, CEO – Telecom Services, Sterlite Technologies; and Anshu Gaur, CEO – Software, Sterlite Technologies. The conference will be followed by the Voice&Data Telecom Leadership Awards 2018. National cyber-security chief Dr. Gulshan Rai, to Address Voice&Data Conference 0 out of 5 based on 0 ratings. 0 user reviews.